hoping that results will be improved could help combat the common cold. The cold is caused by a virus, but scientists want to understand how such diseases are affected by natural bacteria in the airways. 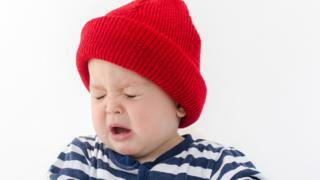 The study also shows why infants suffering from many colds are at higher risk of developing asthma later. 1; what we call the microbiota – can affect our respiratory health," Dr. Roland P. Neumann from the University Clinic for Children's Hospital in Basel. Researchers relied on smears taken from 167 babies. The smears were taken as soon as the first signs of a cold appeared in the infants – and then three weeks later. The scientists analyzed the smears by analyzing the presence of respiratory viruses, such as for the species and the number of different bacteria present. Researchers also considered other factors that could affect respiratory health, including the child's season and age at the time of the first cold, regardless of whether the child had siblings or attended kindergarten. and whether they were regularly exposed to cigarette smoke. The study, published in ERJ Open Research, suggests that babies with a variety of different bacteria living in their noses recover faster from their first respiratory virus. In comparison, those with fewer and more bacteria from the family of Moraxellaceae or Streptococcaceae are slower. Earlier Studies A similar association has been demonstrated between bacteria in these family groups and the development of adult respiratory disease. A more diverse group of bacteria provides some protection against respiratory infections  The research was part of a larger study that examined a group of babies from birth to study the complex interactions between genetic and genetic factors environmental factors and their impact on lung health. In the long run, this could help determine "what a healthy microbiota is – and if there is a way to influence it," for example, with probiotics, although Dr. Neumann emphasized such a conclusion was purely speculative at this time. Professor Tobias Welte, President of the European Society for Respiratory Diseases, who was not involved Further studies were welcomed in the study. "There is a link between respiratory distress in infants in their first year and the development of school-age asthma." We do not fully understand this relationship, but the bacteria living in the upper airways may play a role. " "We need to do more research to understand the relationship between these bacteria, respiratory infections and long-term lung health. "